The New England Aquarium has been monitoring the reefs in Phoenix Islands since 2000 to assess the health and resilience of the corals, fish and shark populations on these remote atolls. 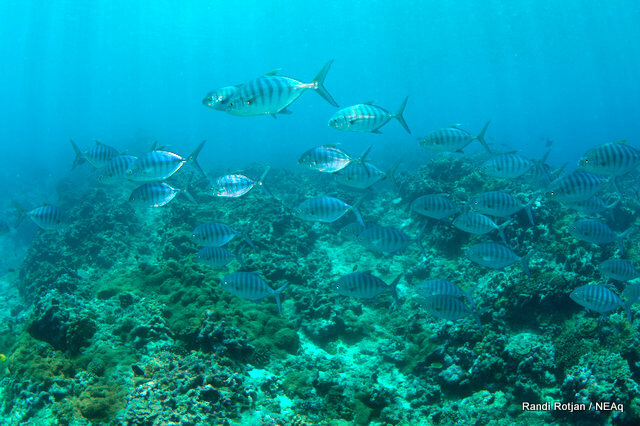 Understanding how reefs change in time is important to managers who need to make decisions on how to best protect or effectively manage these reefs. The team I am leading is collecting data on changes in coral, algae, rock and rubble that cover the islands, as well as the density and biomass of fish and shark population. In addition, I am doing additional surveys to look at how the coral communities are changing over the time in response to climate change. Today the monitoring team surveyed the reefs in Kanton lagoon, a site that experienced severe coral bleaching stress that started in 2002 and caused the mortality of many corals throughout each of the islands. Kanton lagoon was strongly affected because the water in the lagoon reached higher than normal temperatures for 4 years. Just inside the mouth of the lagoon there was 100 percent mortality of delicate branching and table corals (Acropora species). The corals in Kanton lagoon were particularly iconic because corals formed layers upon layers from the sandy bottom to just a meter below the surface, and were the most extensive many of the scientists had seen. While we have yet to analyze the data, I was heartened to see that in the 7 years this site has undergone rapid recovery. There are 3 meter plates now throughout the site and lots of little recruits coming back. 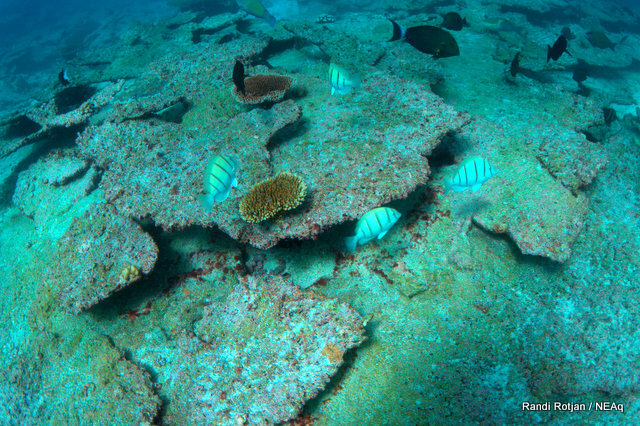 In addition, the fish life seems to be flourishing – lots of parrotfish, butterflyfish, travellies, groupers, and wrasses. I still suspect this area is used as a nursery area for a number of juvenile fish species as there was a lot of small fish in the water. Leaving this site, I cannot help but think Phoenix Islands is rising up again and is well on it’s way to recovering back to its former glory. We're leaving Kanton soon, and are headed to Enderbury Island. More soon!